Although many would think that in 2016, technology’s intrinsic value in the classroom would be a given, educators still debate how important technology is in education as they struggle to implement it in a helpful way. We believe that every instructor who is able to get over the implementation hurdles will continue to discover tools that get more exciting every day, leading to greater benefits for both teachers and students. 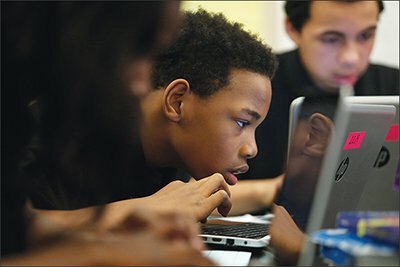 Case in point: This article from Education Week highlights the four pillars of “personalized learning” that were created by the Bill and Melinda Gates Foundation, the Michael and Susan Dell Foundation and EDUCAUSE. As we gain insight from emerging research, we push ourselves every day to further develop our products in order to provide more value to students. We are thrilled to play even a small part in the future of this concept, because it combines two of our biggest passions at Expert TA: big data and student understanding. We hope you enjoy the article as much as we did. The Expert TA blog was created to serve as a hub of information to help educators track and discuss trends in education, software and student performance. Stay in-the-know by signing up for the Expert TA newsletter below.